Call us the very first moment you suspect that something is wrong with the pipes. Our aim is to be as non-invasive as possible. Our personnel comes fully prepared with everything that may be needed for the repair or installation job, including spare parts, so no time is wasted to get things done. Rest assured that when we come over, we already have with us all the necessary tools and spare parts so we will not have to rush back and forth for anything else. Because a Seal Beach plumber may be needed at some point to battle plumbing issues, the challenge is how you will deal with them at the least possible cost to you. Here at OC Plumbing Pros, we pride ourselves for giving only the best service to our clients in a manner that does not hurt their pockets. Call us 24/7 at (949) 371-8413. Easy Hot Water Heater Installation and Repairs by a Plumbing Company: We understand how you will feel when your water heater is in trouble. Nevertheless, before you start shopping for a new unit, have our team over to check if repairs can still be done or if purchasing a unit is imminent. For instance, when you buy a new one, it will cost you upwards of $1000 plus installation costs. Having us over also allows us to check if you are using your heater to its full capacity, or beyond its capacity. Drain Cleaning Services To Keep Drains Open: People tend to overlook the condition of the downspouts and drains. The effects of a clogged drain can be annoying and unhygienic. Our wire cameras can follow through the drain and find out exactly where the problem is. More savings for you, of course. Precise Spotting Of A Leak and Repairing It: Call us and we will send our team anywhere in Seal Beach to diagnose and address the problem. This is why it matters a lot to find out where the leaks are coming from. Rusty metal pipes and water pressure flow create the perfect storm for a bursting pipe. Be mindful to check your water bills and see if there is a significant increase in the amount due because that can mean there is water leaking around. We’ve had cases when homeowners came back from a vacation to find their house in wreck because of an unattended water leak. In less extreme cases, a leak can cause a sudden surge in your monthly bill. Emergency Plumber Seal Beach – Call Us Now! We Will Handle Your Re-piping or Pipe installation Needs: From replacing a burst water pipe in your Seal Beach property to rerouting pipes to accommodate building renovation projects, our experts can get the job done in accordance with safety standards. Do not make the mistake of attempting to repair it yourself, because without sufficient knowledge and skills, you can end up damaging your unit. Whether you have a leaky pipe underneath floor boards and ceramic tiles, we have the equipment to limit the damage to the smallest area possible, which would be to your advantage since you can save on materials and labor. Rather, let us take a look at it and advise you if your system is repairable or not. Hassle-Free Toilet Installations and Repairs: This is why you don’t delay right away. We understand your frustration when your toilet is leaking, broken, or clogged. Besides compromising comfort, it can also compromise your health, more so if the problem occurs in your home. We have the tools and know-how to fix a broken toilet without you having to hole up in some hotel for days. 24/7 OC Plumbing Pros Emergency Services for Plumbing-Related Problems: You can call us 24 hours a day, seven days a week. Our customer representatives can answer all your queries and quell all your worries. A plumbing problem can catch you off-guard, disrupting your daily routine, and sometimes, it can potentially damage your structures, as well as your health – (949) 371-8413. Call Our Seal Beach Plumbers Now! We never tolerate mediocrity in everything we do, and especially in the way we deal with our clients. 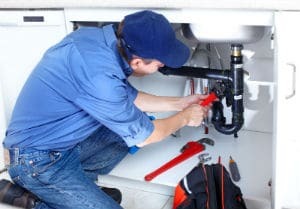 Our high-quality plumbing contractors are continuously trained to keep up with the demands of the time, and they can share with you whatever knowledge they have regarding plumbing maintenance. Please understand however that while we can give you a price quotation, the estimate may change depending on the results of the ocular inspection. Give us a call and let us talk more about plumbing repair and installation services at OC Plumbing Pros.